The impact Jose has on the Foreign-Trade Zones program is longstanding. Jose has over 18 years’ experience leading FTZ 68 in El Paso, TX. There, he served as both Grantee and Operator while maintaining executive positions on the Board of the National Association of Foreign Trade Zones (NAFTZ). Jose effortlessly parlays his knowledge into grantee and operator projects as FTZ Consultant at Indigo Trade Solutions. In addition to FTZ management, Jose has also worked in economic development with city and county governments. Jose maintains active involvement with NAFTZ, where he served as a Director for 8 years including Chairman in 2015/2016. Jose also earned the Accredited Zone Specialist (AZS) designation in 2010. He is a member of numerous economic development associations including the International Economic Development Council, Texas Economic Development Council, and is a Certified Member of the American Association of Airport Executives. 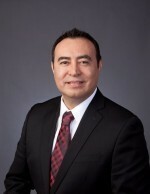 Jose holds a BA degree and a Master of Public Administration from the University of Texas at El Paso. In his spare time, Jose enjoys being with family, traveling to distant locations (more than 1,000 miles from home), and watching professional football, soccer and basketball.